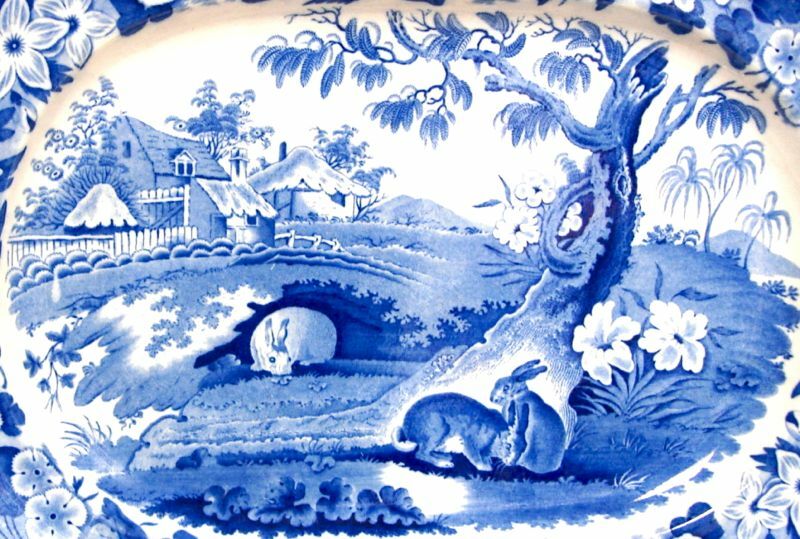 Grazing Rabbits is one of my favorite patterns. You may have read my posts titled "English Lop" and "Hare and Leverets," so you know that I like lagomorphs. If you don't know what "lagomorph" means, read my posts! 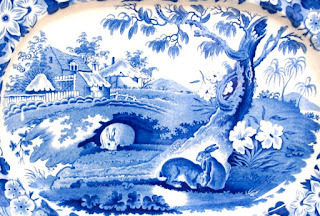 Since "Grazing Rabbits" is a given name rather than a factory name, do you think the animals are rabbits or hares? 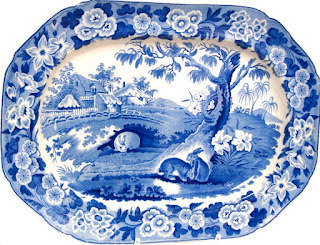 The pattern was created around 1820 by an unknown maker. It is found mainly in blue, but brown transfers do exist. More than one factory (all unknown!) made the pattern.